We loved everything about working with Jen! She was very professional and did a great job of guiding the show and keeping all of our many friends and family on task during pre-ceremony photos. Judging from our engagement photos and from the two preview photos we've received of our wedding thus far, the quality of her photographs is also awesome. 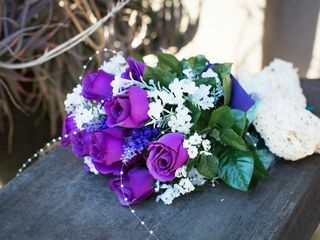 I would absolutely recommend her to other brides and grooms without reservation. We had an amazing experience with Jen. She was extremely professional throughout our entire engagement- from answering our questions to producing the most amazing photos. She helped us identify the perfect location in alignment with our interests and helps us pose for our forever memories. Very grateful to have found her and totally recommend!!! Thanks Jen for everything !! We had such a great experience working with Jen. She was very quick and efficient, so we able to enjoy our wedding and get great photos at the same time. She also dressed well for the wedding. I was really impressed with how she took control to get all the pictures that we were looking for. I would recommend her to anyone! Jen was our wedding photographer this past June and she went above and beyond on our special day. My husband and I live in Chicago and Jen was amazing to work with from a distance as we prepared for our San Francisco wedding. She was always willing to jump on a phone conversation with us to go over details and she quickly got back to our emails during the entire planning process. On the day of our wedding, Jen was a pleasure to work with, we loved her documentary-style photography - this is what drew us to her in the first place. She does an exceptional job capturing those rare special moments that happen throughout the entire wedding day. She was kind and easy to work with during family and couple portraits. My husband and I aren't used to be in front of the camera and she made it easy and an enjoyable experience. Jen listened to everything we wanted to capture on our wedding day and she got even more than I could imagine. She even updated us throughout the editing process by sending us a few of her favorite shots, which was really exciting to see and share those sneak peaks with our family. 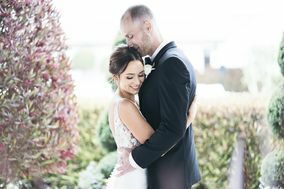 We are beyond happy with everything Jen captured on our wedding day - from getting ready to formal couple and family portraits to all of the candid ceremony and reception photos. Jen truly captured the incredible joy of the entire day and I am so happy we were able to work with her. For anyone planning a wedding, engagement shoot, or other formal events we HIGHLY recommend using Jen for all your photography needs. You will not be disappointed. Thank you, Jen, for being part of our big day and honestly capturing all the beauty and happiness of our wedding day - we now have a solid collection of photos to look back on for years to come. Jen was a pleasure to work with at our wedding! She was very punctual, worked well with our videographer and was able to handle large family group photos with ease. Jen and her associate, Sarah, both were able to capture photos without being distracting during the ceremony and are both very friendly and easy to work with. Jen got our pictures to us quickly and they were absolutely incredible. I can't recommend her enough! Jen photographed our engagements and our wedding. She was so incredibly patient and kind throughout the entire process. Our engagement photos were absolutely gorgeous and just from the sneak preview she gave us from our wedding, I already know they are going to be amazing. Even in the 90 degree weather with a huge bunch of boisterous groomsmen, she remained calm and directed us all throughout the entire process. Thanks jen! Jennifer was amazing from the planning stages of our wedding to the big day it self. As soon as she arrived in our hotel I felt at ease that Jennifer knew what she was doing to get the best photographs of the day. The turn around in getting our photographs were so fast that we actually received them whilst on our honeymoon and we are really pleased, she has captured many treasured memories of the day! Jennifer was more than I could have asked for. Great eye! Honest, to the point, helpful, flexible, and very responsive. Everyone was so impressed with the pictures. So happy with her, made my wedding memories even better. Coming in from out of state, I relied on Jen to know the best location for our wedding pictures. She did an amazing job & we got some stunning shots to help us remember our special day. Thanks Jen! Thank you so much for such a great experience on our wedding day! Love how professional and punctual Jennifer was. Pictures came out so beautiful. I'm in love!! 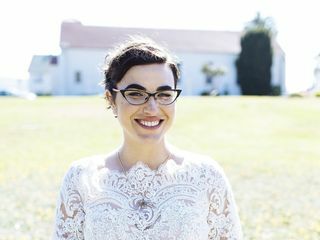 We went for an intimate and short photography session on our wedding day and we could not be happier with the results! Amazing pics! Jen did a great job. She dealt with the chaos and tiny rooms we were getting ready in with ease. She captured all of the moments we wanted. The weather didn't cooperate with outdoor photos but she adjusted the plans without difficulty. She was very easy to work with and I would highly recommend her to others. Jennifer was a pleasure to work with. I would hire her again without hesitation. She took great shots of everything. Went above and beyond my expectations. Jen was fantastic and so easy to work with. She captured all the moments we wanted and got some great candid shots, too. 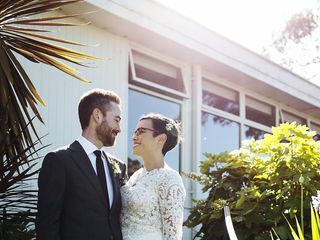 We love the pictures from our wedding and highly recommend her! Jen is a great photographer (just look at her portfolio! ), as well as a wonderful individual. She met with us before the wedding day, to talk about what kind of pictures we would like. Then, when it all changed, the venue and the ceremony, she was flexible, supportive, and had a good sense of humor about it all! We loved her photographs and will cherish them always! Thank you Jen! Choosing Jennifer as our photographer for our wedding day was the best decision we made. Great communication since our first conversation. Our wedding day was chaotic! But she was there trying to do whatever she could to help us. 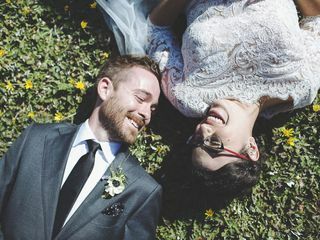 The photos of our wedding beat our expectations, she was able to capture all the love and happiness of our wedding, everyone who saw our pictures loved them! 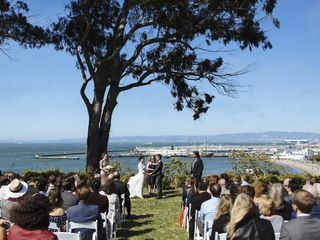 Thank you Jen for being awesome and capturing such amazing images of the best day of our lives! I have used Jen Fairbanks a few times now because I love her work so much. My first experience was when she took absolutely stunning photos at my wedding and again when she has taken family photos and photos of my daughter. Very professional with beautiful photos. I highly recommend her for any event you need photographed! We loved working with Jen! From the beginning, she was prompt, responsive, and very professional. We were planning the wedding from a distance and she helped make it such an easy experience! Jen and her second shooter Sarah was a joy to work with during the wedding; they were accommodating when we were running a touch behind schedule, and worked so efficiently that we made up the time with no problem! Also loved exploring the venue with them, finding a lot of really beautiful spots to photograph. We really valued her direction while taking portraits; everyone looked so natural and at ease. After the wedding, she kept in close contact with a few sneak peeks that made the wait almost unbearable, but so worth it; every picture is stunning. We're so grateful to have the fortune of working with Jen and look forward to cherishing the many memories we made that day! Overall really unsatisfied and disappointed. I really regret working with this photographer for my wedding. I love the pictures my family took with their phones more than the photos taken by Jen Fairbanks. I do not recommend this photographer at all.